So it is official now. 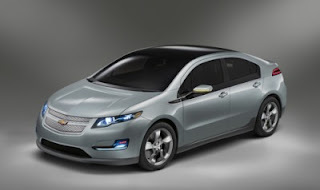 The Chevrolet Volt has been unveiled and what a car. This is a "green" car that charges on electricity from the mains of your home and goes for 60 kilometers before it starts its own little motor to then recharge the on-board lithium-ion batteries. This car is a first in the industry introducing lithium-ion batteries that will perform better than other technologies. According to the GM Fast Lane Blog this car represents a rethink in the way cars are manufactured and the way the car relies on batteries rather than a petrol driven motor. Although it does have a petrol motor it is only used to recharge the batteries should a driver want to travel more than 60 kilomoters in one go. In the same way that the Chevrolet Volt has been hailed as a new and superior car, Superconnect is a product that should be hailed as being the superior and "green" alternative to making superannuation payments. Gone are the days when all your superannuation contributions are all completed on paper. Superconnect is the "green" way to go saving on a huge amount of paper each time superannuation contributions are sent. It is a totally electronic way to forward payments on behalf of each of your employees to their respective superannuation funds. To really understand what a saving Superconnect can be for your business, go to Superconnect's website and read more, find out how you can really save money and save the environment at the same time.